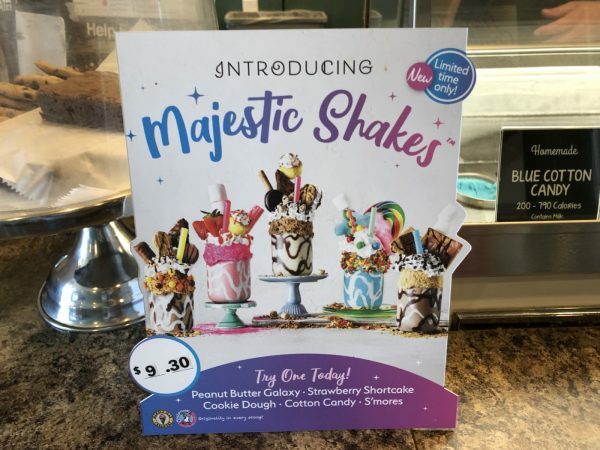 Marble Slab Creamery offering Majestic Shakes that will wow any child – Wichita By E.B. 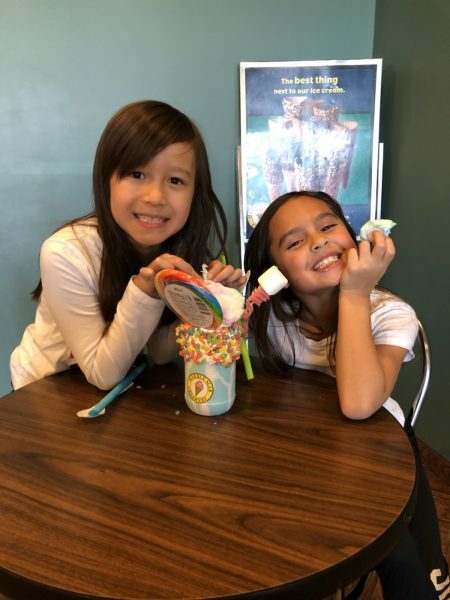 What happens when two girls have you wrapped around their fingers and want you to buy them a $10 dessert? You go. 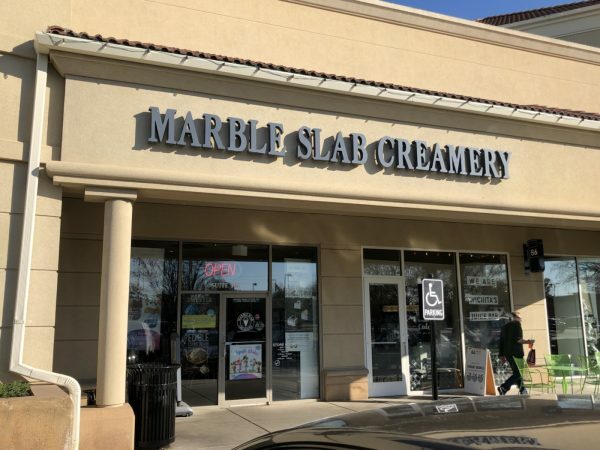 That’s what happened when Marble Slab Creamery released the new Majestic Shakes. 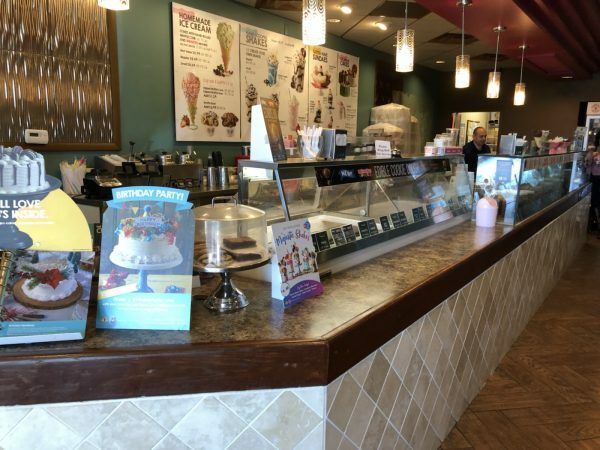 We’ve never been to Marble Slab inside Bradley Fair and knowing that it’s my goal to try every restaurant, they suckered me into taking them. 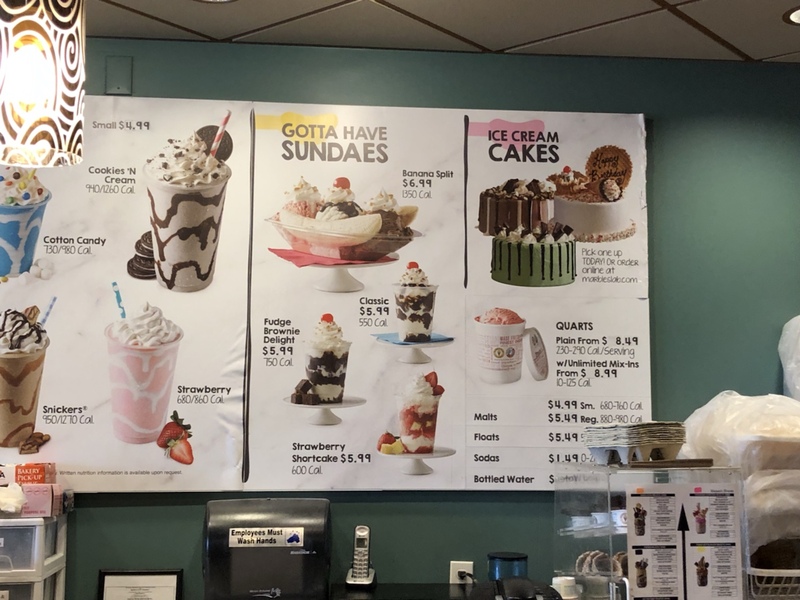 Here goes nothing…..
As we walked into the door, the first advertisement anyone saw was for the Majestic Shakes. They are only available for a limited time and cost $9.30 a piece. They are described as a whole lot of deliciousness in one jar. It’s basically a shake with a ton of sugar thrown inside. Have you ever seen those loaded bloody mary’s with burgers, ribs, pickles, beef jerky and everything else thrown in the glass? That’s similar to a majestic shake. We only purchased one as I was not about to spend $20 on two jars my nieces wouldn’t finish. After much debate, they ended up settling on cotton candy. Within five minutes, this beauty was handed to the girls with two straws. The plastic jar had edible fruity pebbles wrapped around. Inside the jar was the cotton candy shake topped with whipped cream, gumballs and cotton candy. Then stuck into the jar was a huge lollipop which brought much debate on who would be the owner of it along with more candy and a marshmallow. As they dug in, I set my timer to make sure when the sugar rush came on they would be in the home of their parents and not mine. 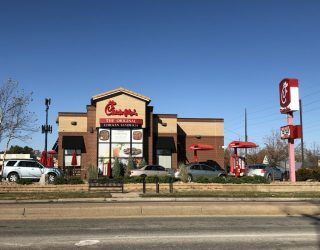 At times, I took a sip of the shake and have to admit that it was beyond delicious. It had a smooth, creamy cotton candy flavor that left me tempted to go purchase my own. 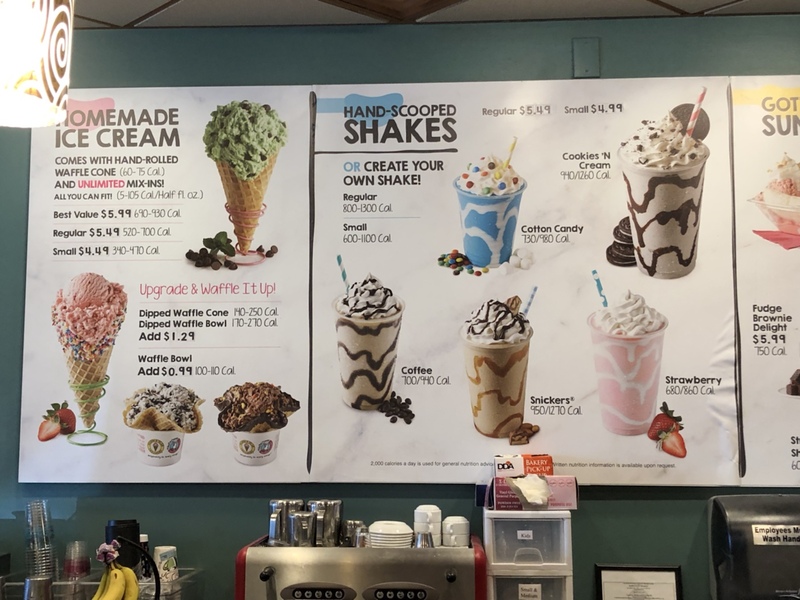 There was actually a regular cotton candy shake that was half the price that I glanced at for a while. But as I figured the kids were full about 3/4’s of the way through so unfortunately I had to take one for the team and finish the rest. Tough life, I know. Visually it was an amazing shake. At $9.30, it left me questioning whether I would even order it again. 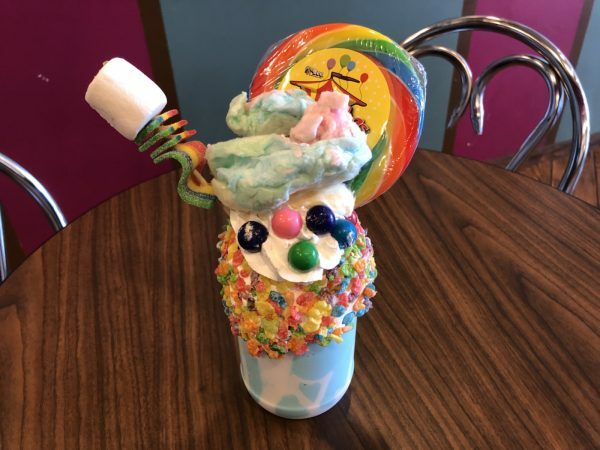 You could get a delicious regular cotton candy shake for around $5. Or there are so many other great options there as well. The extra $4 gets you a cool looking jar with cereal wrapped around it and stuffed with an assortment of different sugars. But then again, it’s hard to say no to these faces.